GRINNELL, Iowa — Baseball. Soccer. Hockey. Bowling. Kickball. Surfing. 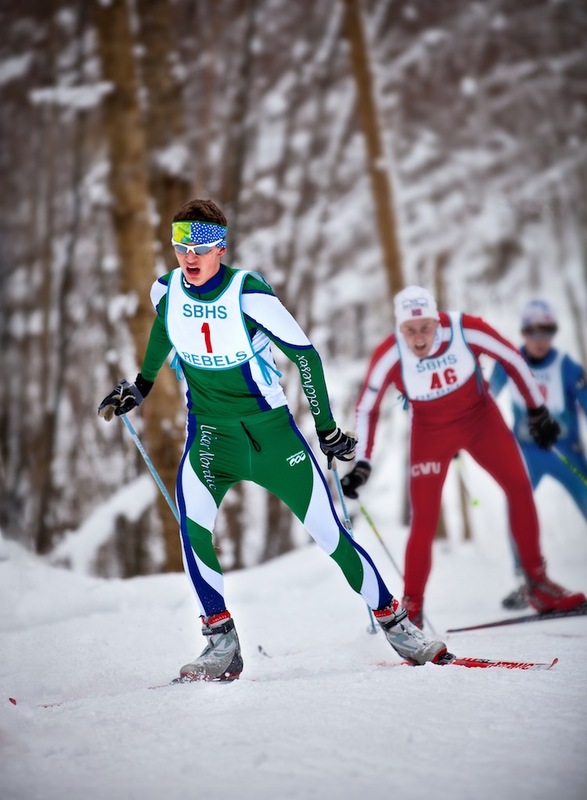 People around the country are drawn to compete in these sports and many others. Still more gather on the sidelines to cheer for their favorite athletes and teams. Nowhere do Americans more intimately connect to sports than in their hometowns. A Smithsonian traveling exhibition, sponsored by Grinnell College and local partners, will celebrate this connection. 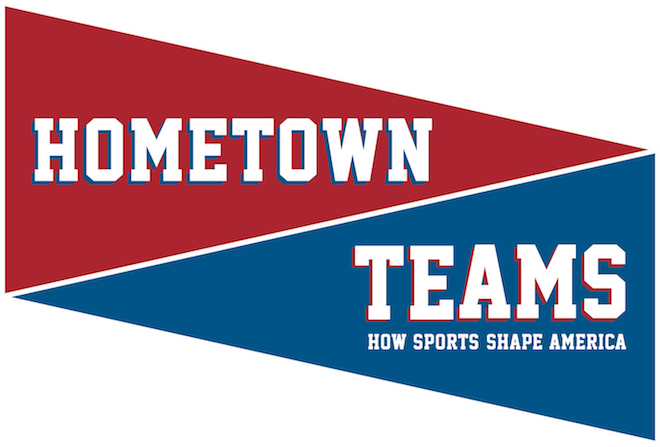 “Hometown Teams: How Sports Shape America,” will be on display from Friday, Feb. 15, through Saturday, April 20, at Drake Community Library, 930 Park St., Grinnell. An opening ceremony featuring speakers and ballpark food will take place at the library from 4:30 to 6 p.m. on Feb. 15. Grinnell Mayor Dan F. Agnew will be the emcee. Grinnell College President Raynard S. Kington and Grinnell High School Football Coach Brian Sauser will make remarks, starting at 4:45 p.m. Docents will be available to answer questions about the exhibition during the opening. The exhibition, which is free, will be open to the public during the library’s regular hours: 10 a.m. to 6 p.m. Monday through Wednesday, 10 a.m. to 8 p.m. Thursday, 10 a.m. to 6 p.m., Friday and 10 a.m. to 5 p.m. Saturday. “Hometown Teams” uses photographs, artifacts and interactive components to capture the stories that unfold on the neighborhood fields and courts and the underdog heroics, larger-than-life legends, fierce rivalries and gut-wrenching defeats. 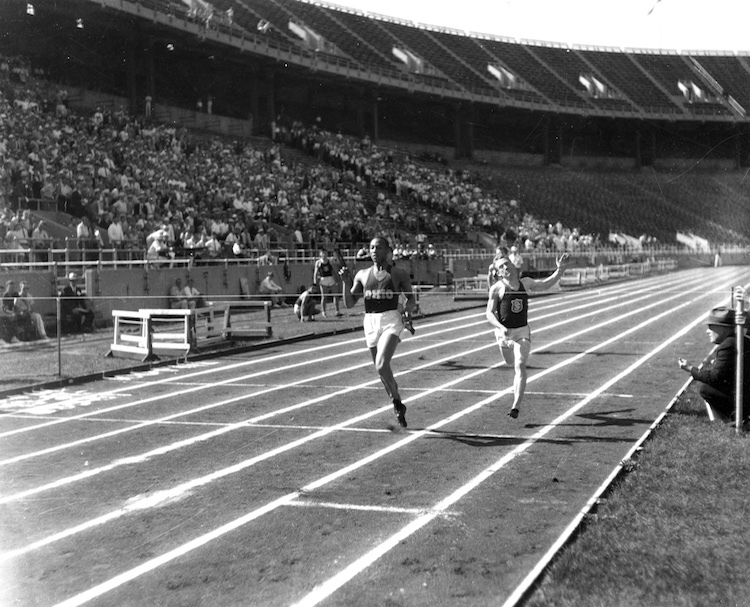 For more than 100 years, sports have reflected the trials and triumphs of the American experience and helped shape the national character. Whether it is professional sports or those played on the collegiate or scholastic level, amateur sports or sports played by kids on the local playground, sports are everywhere in America. “Hometown Teams” features high-quality, interactive displays highlighting boys and girls, women and men playing soccer, hockey, bowling, baseball, surfing, basketball and other sports. “Hometown Teams” is an example of Grinnell College’s commitment to serving the local community by bringing together and celebrating diverse perspectives through guest lectures, public performances and a wide array of exhibitions. “Hometown Teams” is part of Museum on Main Street, a collaboration between the Smithsonian Institution and State Humanities Councils nationwide. The U.S. Congress has provided support for Museum on Main Street. To learn more about “Hometown Teams” and other Museum on Main Street exhibitions, visit www.museumonmainstreet.org. The Smithsonian Institution Traveling Exhibition Service (SITES) has been sharing the wealth of Smithsonian collections and research programs with millions of people outside Washington, D.C., for more than 60 years. SITES connects Americans to their shared cultural heritage through a wide range of exhibitions about art, science and history, which are shown wherever people live, work and play. For exhibition description and tour schedules, visit www.sites.si.edu. Soccer: For an athlete, there is no substitute for pure determination. 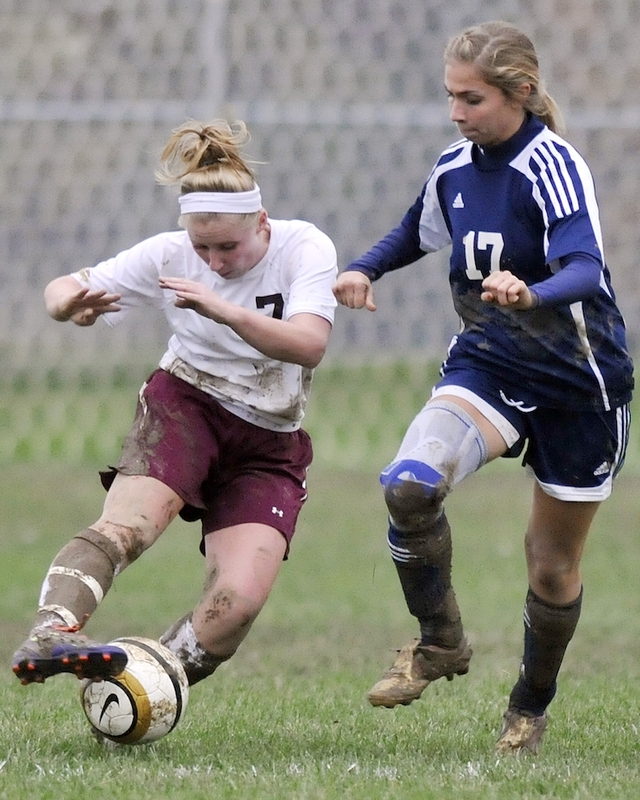 Players from Ohio’s Wellington and Independence High Schools compete on a muddy field, 2011.